Broadhead tuning is a process that yields many different opinions amongst hunters. What is the best way to broadhead tune a bow? Ask ten different hunters and you may get ten different answers. Some believe that you should paper tune your bow, then see where your broadheads hit in comparison to your field points. If the point of impact, or POI, is different, then adjust your bow (D-Loop and arrow rest) until you “force” your broadheads and field points to have the same POI. Some hunters swear by bareshaft tuning your bow and then shooting broadheads. Regardless of where your broadheads hit, they would simply adjust their pins to the POI of the broadheads and hit the woods. There are probably a dozen other methods that people swear by, but what is the best method of broadhead tuning? Follow these steps for perfect broadhead flight. Make sure your bow is to the suggested manufacturer’s specs. This is in reference to brace height and axle to axle measurements. Use a draw board to make sure your compound bow’s timing is perfect. If the cams are out of sync, press your bow and then twist or untwist the bow’s cables accordingly to achieve perfect timing while keeping your bow to spec. With a properly spined arrow, paper tune your bow. Refer to our section on paper tuning to assist you in properly paper tuning your bow. 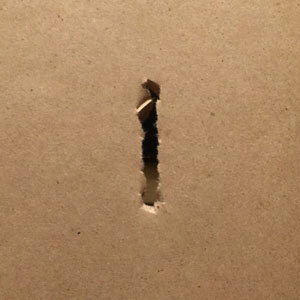 The steps you take to get a perfect rips through paper with a field point represent a macro-tuning to your equipment. Bare shaft tune your bow. To assist you in this procedure, coat the field point of your bare shaft arrow with some lipstick for clarity in the rips. After seeing where the field point hits in relation to the nock end, make the necessary adjustments needed to achieve a perfect rip. Start this process at 8 feet and then repeat it at 20-25 feet. This is a micro-tune of your equipment. 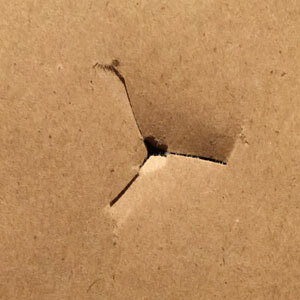 Shoot your broadheads through paper. 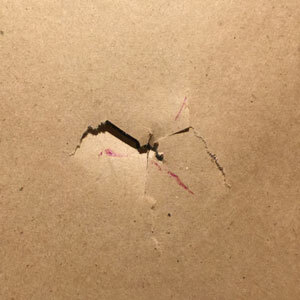 This is a little trickier because the broadhead will make a substantial rip in the paper making it hard to see where your fletchings impact the paper. To remedy this, use some lipstick to coat the edges of your fletchings. This lipstick will give you a clear indication of where your fletchings hit in relation to your broadhead. If your bow is timed properly and you are bareshaft tuned, chances are that your broadheads will make a perfect rip through the paper. If you are experiencing nock up, down, left or right rips, adjust the d loop and/or yokes until you have a perfect rip with your broadheads. If you do not have access a paper tuning jig and can not use the above, preferred method, you can make adjustments at the range to broadhead tune your bow. You’ll need at least one arrow with a field point installed and one arrow with a broadhead installed. Shoot your broadhead arrow at a bullseye from 20 yards. Shoot your field point arrow at the same bullseye from 20 yards. Repeat the process and observe the results. Adjust your bow until you reach the same POI or point of impact. If the broadhead impacts left of the fieldpoint, adjust your rest to the right until it shares the POI of the field point. If the broadhead impacts right of the field point, adjust your rest to the left until it shares the POI of the field point. If the broadhead impacts above the field point, raise your d loop until it shares the POI of the fieldpoint. If the broadhead impacts below the field point, lower your d loop until it shares the POI of the fieldpoint. If your bow’s timing is perfect and your bow is to spec, this technique can work. It is highly suggested to eventually confirm your broadhead flight by shooting it through paper to ensure that its flight is optimal. 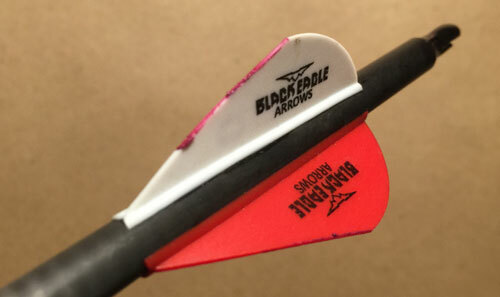 We suggest following the “broadhead tuning your bow through paper” technique. When following these steps, you macro-tune then micro-tune your equipment until your broadheads deliver a perfect rip at 8 feet and 25 feet. 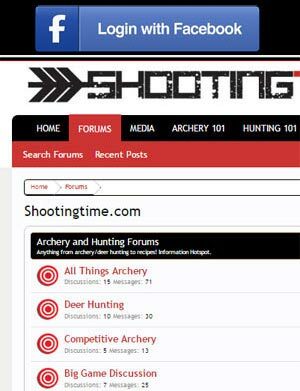 In most cases, this results in the same POI with your field points and broadheads at the range. If you use the second method, “broadhead tuning your bow at the range,” you may or may not achieve the best broadhead flight. You can force a broadhead to hit the same POI on an untuned/untimed bow and still not have the best arrow flight. 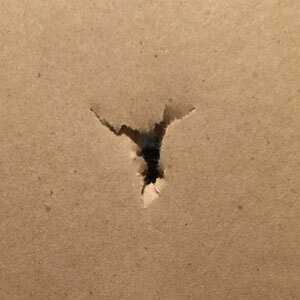 This is why we highly suggest to confirm your results by shooting your broadhead through paper after broadhead tuning your bow at the range. The following pictures are from impacts from “broadhead tuning a bow at the range”, with a bow whose timing was off. Notice that even though the fieldpoint and the broadhead shared the same POI, through paper the fieldpoint, bareshaft, or broadhead all had improper rips and therefore improper flight. Field point at 8 feet. 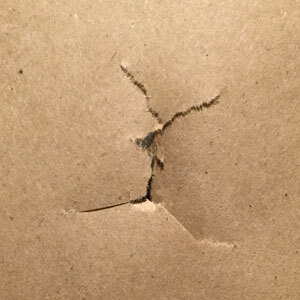 Broadhead through paper at 8 feet. Nock high and right. 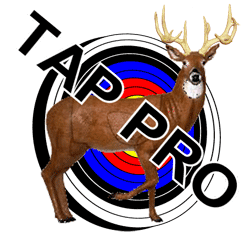 We hope our suggestions help you in achieving perfect broadhead flight. One thing we want to stress is that when you shoot a broadhead through paper at 8 feet and then at 25 feet, you can ensure that you have perfect flight. Perfect broadhead flight results in maximum penetration. Maximum penetration results in higher recovery rates of animals. Good luck! Happy hunting!